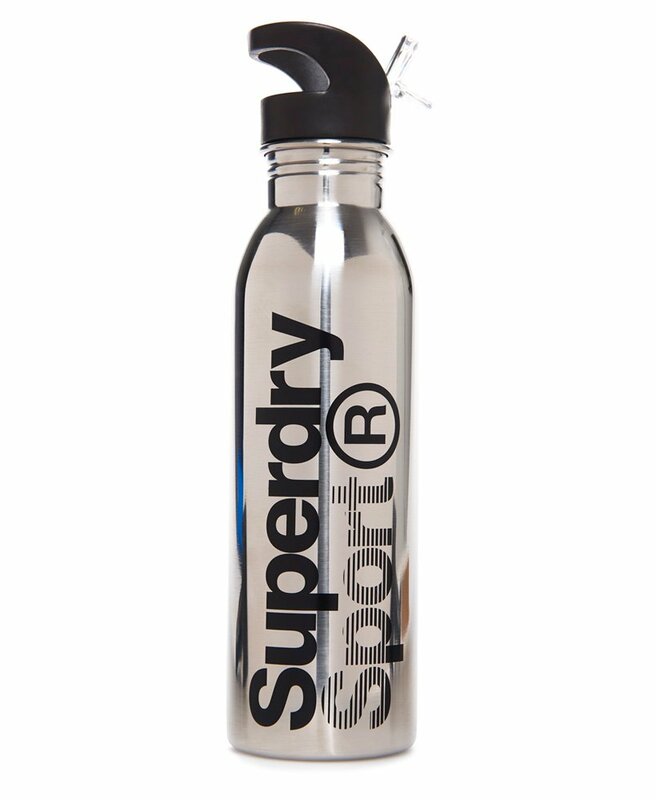 Superdry steel sports bottle. This 18/8 grade Stainless Steel bottle is rubberised for better grip while you work out. 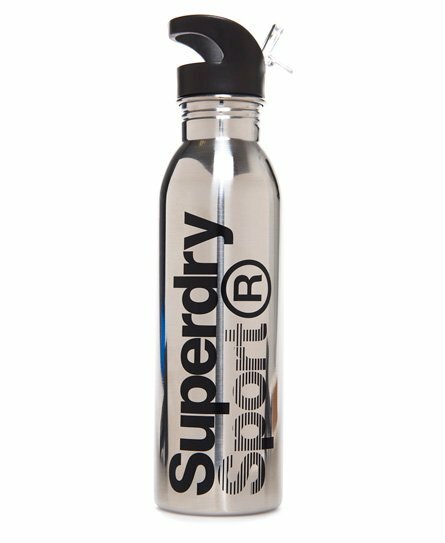 The bottle also features a water tight screw lid with a flip top spout, is food and drink safe with colourfast paint and is finished with a Superdry Sport logo. 750ml capacity. Not dishwasher safe or for hot or corrosive liquids.